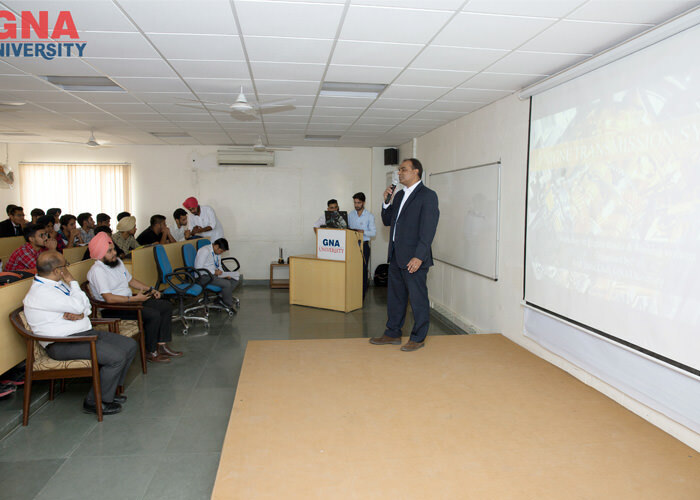 One Day Workshop on "Know Your Vehicle"
SAEINDIA Collegiate Club of GNA University had organized a one day workshop on "Know Your Vehicle" on October 29, 2018. 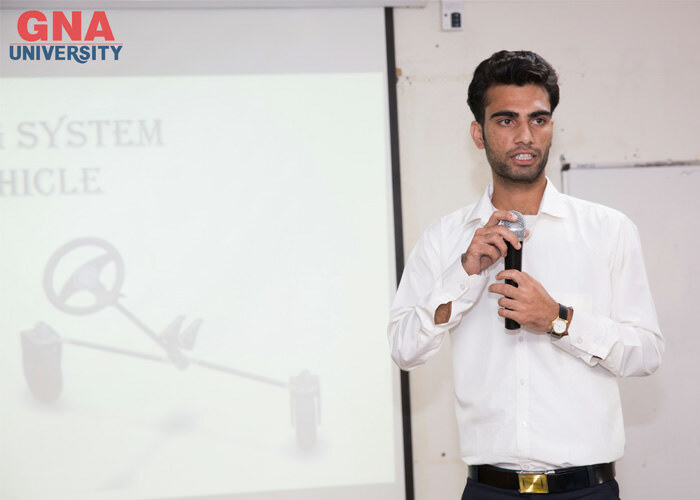 The motive of the workshop is to make aware the participants about the troubleshooting small problems, functioning,maintenance and service of vehicle. Total 198 students were participated in the workshop. 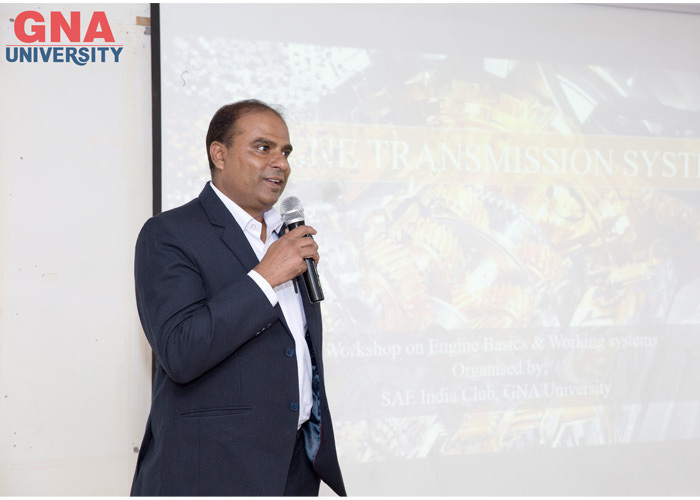 The workshop was inaugurated by Dr. Vikrant Sharma, Dean, Faculty of Engineering and Technology. Mr. Anil Prakash, General Manager, Mitsubishi & Hyundai Northern Motors and Mr. Ankur Sood, Sr. Relationship Manager, Stan Cars Pvt. 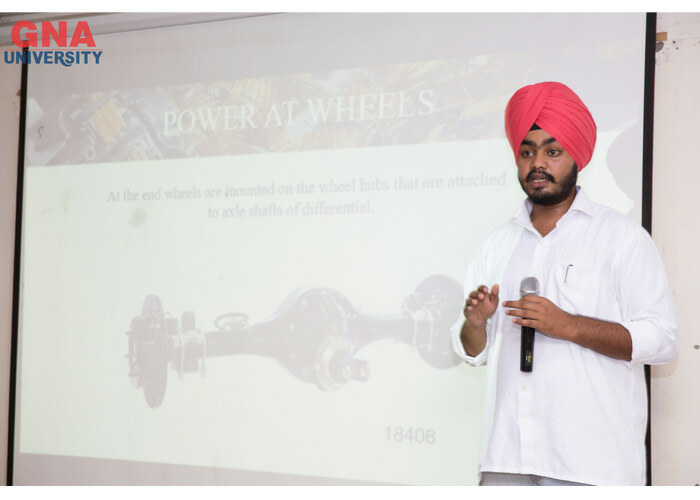 Ltd. had delivered the expert talk and enlightened the participants with knowledge of vehicle. There were interactive sessions on the automobile systems given by student members of the club explaining the working of vehicle followed by demonstration section in which working of starting system, power system, transmission system, steering system, suspension system, braking system, cooling system and dashboard symbols were explained with the help of working models. The overall workshop was coordinated by Mr. Virender Singh and Mr. Suraj Kalia, Faculty Advisor and Addl. Faculty Advisor of the SAEINDIA Collegiate Club of GNA University. Certificate of participation were given to each participant. 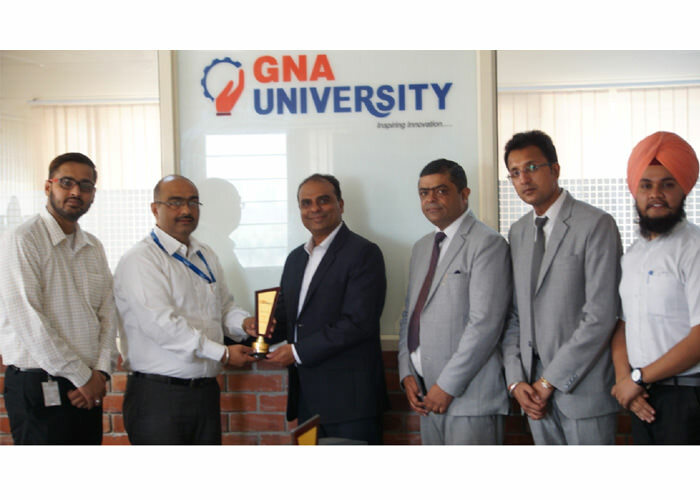 Mr. Gurdeep Singh Sehra, Pro-Chancellor GNA University congratulated the faculty for organizing such a workshop of common interest. Dr. V K Rattan, Vice Chancellor GNA University congratulated the active participation from the department and also said that such type of workshop are very informative for the students. Dr. Vikrant Sharma, Dean- Engineering & Technology appreciate the work of the club and motivate the organizers to conduct such type of more events in near future.